Plans have been unveiled for the prospective redevelopment of Hudson House on Toft Green that will see the site transformed into a high quality mixed-use development that will also include a landscaped route through from the Railway Station to Toft Green and Micklegate. Owners of the building, Palace Capital plc, want to develop the site from the current 1960’s brutalist property into four new modern buildings including apartments, Grade-A office accommodation and other commercial space. The offices would be the first significant speculative Grade-A office development in the City Centre for many years. Hudson House currently has just over 100,000 sq ft of offices but is now only circa 30 per cent occupied as tenants vacate the building as reasonable term leases cannot now be offered pending the outcome of a future planning application and the fact that the building is not up to modern standards. Neil Sinclair Chief Executive of Palace Capital plc, commented: â€œThese proposals represent a major investment into York and the plans are a vote of confidence for the City. There is a distinct lack of top quality office space in the city centre, and we understand that there is an underlying demand from companies wishing to relocate to York but can’t find suitable office space. 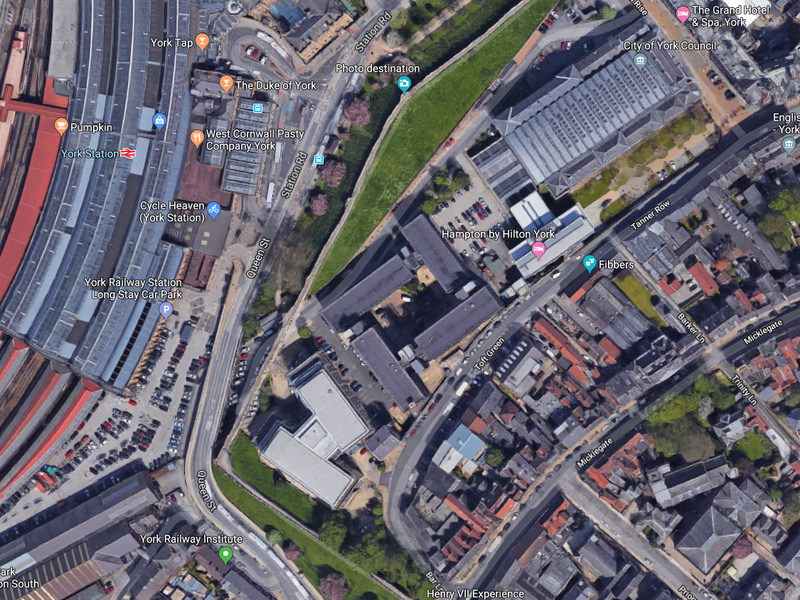 Leading Leeds based architects Fuse Studios are designing the scheme that will include 130 apartments for which strong demand is expected being so close to the Station, 35,000 sq ft net of offices and a potential café. A consultation event will be held for neighbours to the buildings and other interested parties on the 25th January 2017 at Hudson House between 3pm and 7pm. This will be an opportunity to find out more about the plans and ask questions to the development team. AIM-listed Palace Capital plc is a specialist in regional property investment and currently owns £185m of property of which £50m worth is in Yorkshire which, besides Hudson House, includes Broad Street Plaza in Halifax, Bank House and Warwick House in Leeds and Meadowcourt in Sheffield.